Richard grew up in Spartanburg, SC as a member of First Presbyterian Church of Spartanburg. He graduated from Presbyterian College in 1993 with a B.A. in Political Science, and went to work in the textile industry in manufacturing and sales with Spartan Mills of Spartanburg and Thantex, Inc. of Arden, NC. From 2001-2008 he served as Vice-President of Sales & Marketing for CPE, Inc. of Union, SC. Following a call to ministry, Richard and his family moved to Decatur, GA in 2008, where he attended Columbia Theological Seminary. During his studies, Richard completed a pastoral internship at First Presbyterian Church in Pulaski, VA, and served as a chaplain at Children’s Healthcare of Atlanta at Emory University. He received his Master of Divinity from Columbia in May of 2011, and was ordained on Sunday, June 5th, 2011 at Nazareth Presbyterian Church in Moore, SC his sponsor church during seminary. 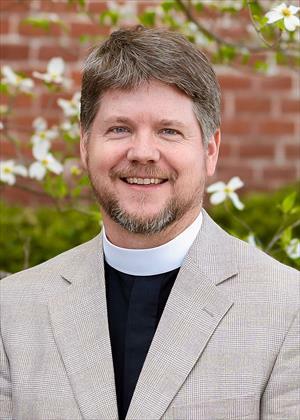 He has served as pastor of First Presbyterian Church in Moultrie, GA, and Tirzah Presbyterian Church in York, SC. Richard brings a passion and commitment to the church and to discipleship. He is a creative person, who loves to watch new things come to life and old things find new life. He enjoys time with his family, working in the yard, playing guitar, and has a deep love of the outdoors. Richard is married to Shay, and they have three children: Emery (20), Richard (15), and Martha Bryan (13).